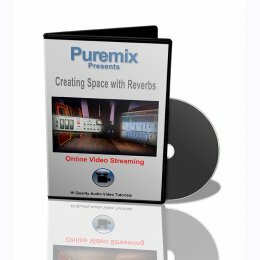 If you have ever listened to the same song 25 times in a row pressing your headphones really hard on your ears to try and figure out what kind of reverb is being used, then this video is for you. Fab discusses how to create natural spaces using reverb plugins. This is not about 80s obvious trails or Enya style deep underwater immersions, it's about creating a 'back wall' for your mix, height above the instruments and sauce to link the different elements together. You will gain the feel for what every one of the plugins does via extensive A/B comparisons and will get clear guidelines on how to think about the process to be able to emulate the techniques discussed on your own mixes. Just be careful with the back wall, it's freshly painted.